Thanks to everyone who helped with the Big Buoy Party this year and to all our Art Haven supporters and friends who came for this fun family event on the 25th. It was a great night for all. The buoys looked wonderful, the music was fantastic, the food was delicious and kids enjoyed more crafts than ever. It was a great success! 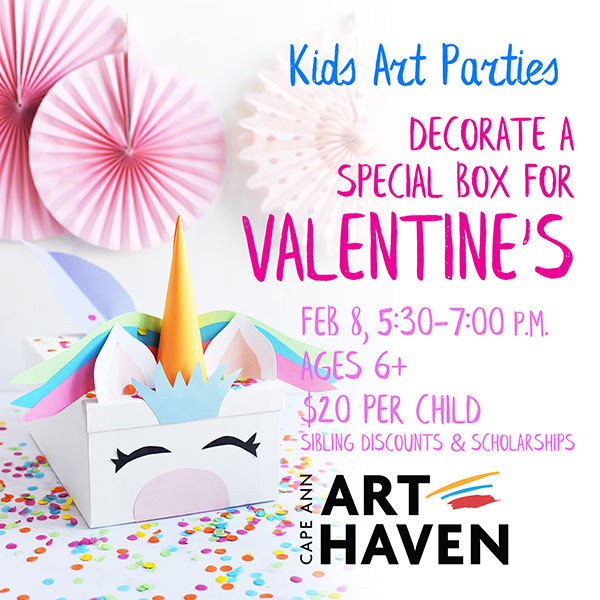 Funny, Silly, Sweet or Wild … decorate a box to hold all your Valentines or to give as a gift to someone you love. For kids ages 6 and up. We are offering a great new line-up of classes with old favorites and some fun new ones! Classes are offered as four-week sessions after school, at affordable prices. 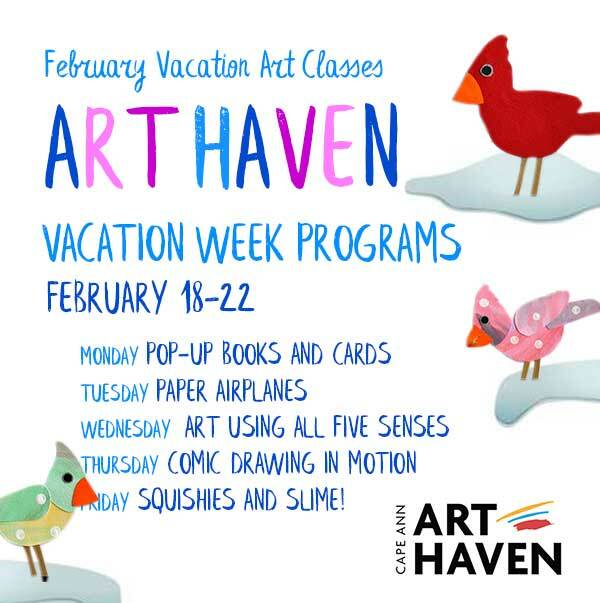 Come make art!